Tangerine Cards & Gifts (Carmel, IN): Looking for a great gift? Tangerine Cards & Gifts is your store! You can find them on Facebook and Instagram. Elements (Garden City, KS): Live in the Garden City area? 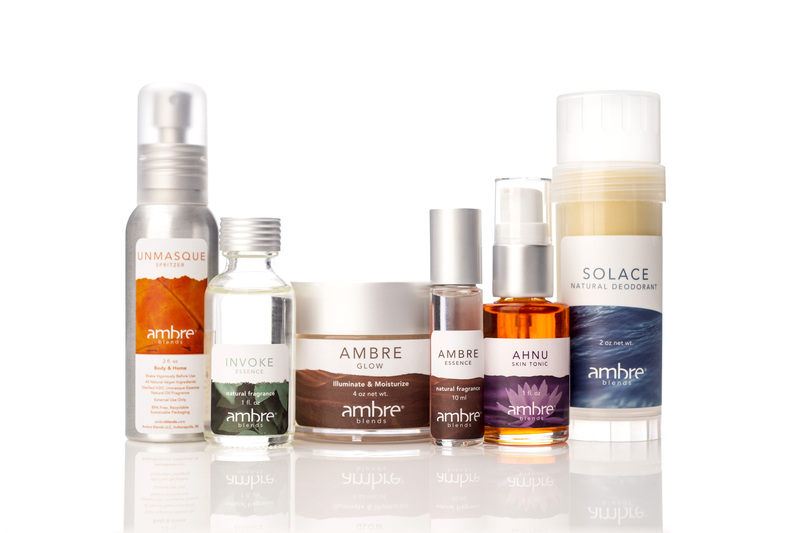 Elements has your outfit inspiration and your favorite Ambre Blends products in stock! The Bar Method (Carmel, IN): It doesn’t matter what your fitness level is, The Bar Method has a class for you! You can find them on Facebook and Instagram. Nuvo Home (The Village, OK): To achieve the perfect bohemian vibe, look no further than Nuvo Home! Check out their selection of rugs, pillow, and accents for your home. You can also find them on Facebook and Instagram. Woodbury Family Chiropractic (Woodbury, MN): Live a vibrant, joyful, and healthy life by connecting with your body, mind and spirit through whole body chiropractic care from Woodbury Family Chiropractic! You can also find them on Facebook. Friends Home Decor (Noblesville, IN): Located in an 1892 two-room schoolhouse, you can find a wide range of unique gifts and custom designs for your home at Friends Home Decor. You can also find them on Facebook. Chic Salon and Boutique (O’Fallon, MO): This full service hair salon also carries a wide variety of accessories, decor and gifts, including Ambre Blends! Goob’s & Aunt B’s (Greenfield, TN): Come browse the selection of antiques and hidden treasures in Greenfield, and pick up your favorite Ambre Blends products while you’re there! Barre Reaction (Commerce Charter Twp, MI): Get a full body workout that is safe, effective, and also FUN! You can find them on Facebook and Instagram. Heal Thyself (Indianapolis, IN): Live a pain-free existence and instill a sense of health and well-being at Heal Thyself through a variety of holistic massage methods! Kohler Waters Spa (Green Bay, WI): Kohler Waters Spa at Lodge Kohler is truly a sanctuary to treat your mind, body and soul. Find them on Facebook and Instagram. Hoku Beauty (Honolulu, HI): Pamper yourself in Hawaii at Hoku Beauty, which provides the best treatments to relax and rejuvenate your skin! You can also find them on Facebook. Bluetique (Bloomington, IN): Fashion meets fun at Bluetique! You’ll find trendy and affordable clothing at Bluetique, conveniently located on Kirkwood. Skin Deep (Chattanooga, TN): Looking for a skin care treatment in Chattanooga? Don’t miss Skin Deep Aesthetics for all of your medical spa needs. Hudson Hair Co (Nyack, NY): Located in the heart of downtown Nyack, Hudson Hair Co. is on top of all your favorite hair trends. Take a look at their work on Facebook. Infinity Salon (Warsaw, IN): Get an unforgettable experience at Infinity Salon in Warsaw! Take a look at their work on Instagram and Facebook. Pure Barre (Dayton, OH): Lift, tone and burn at Pure Barre in Dayton, OH! You can find them on Facebook. Timeless Beauty (Franklin, TN): This medical and aesthetic center in Tennessee is not only elegant but comfortable for clients. You can also find them on Facebook. KJ & Co Beauty Spa (New Castle, IN): Meet your hair goals at KJ & Co! Take a look at their Facebook page to check out some of the amazing hair they’re doing. Salon b (Aurora, IL): Salon b is a place to gather, relax, shop and ‘b’ you! You can find them on Instagram and Facebook. Something Blue (Prospect, KY): Find everything from clothing to jewelry to bridal accessories and gifts at Something Blue! You can find them on Facebook and Instagram. Philosophy & Vines (Sarasota, FL): Philosophy & Vines is your one stop shop for men and women’s clothing, accessories, gifts and home decor! You can also find them on Facebook. Clementine’s Salon (Denver, CO): Elle magazine has twice named Clementine’s one of the top salons in the nation! Find them on Instagram and Facebook. Claire Marie (Seymour, IN): Ranging from juniors to plus size, Claire Marie is a locally-owned boutique that features unique clothing, accessories, decor and more with someone to fit everyone’s personal taste.